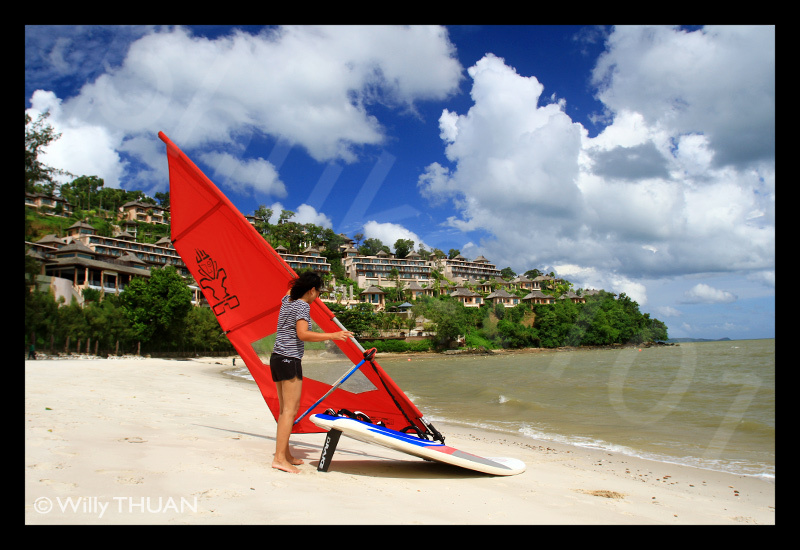 Westin Siray Bay Resort is a hotel built on a hillside of Koh Sirey, a tiny island on the east coast of Phuket. 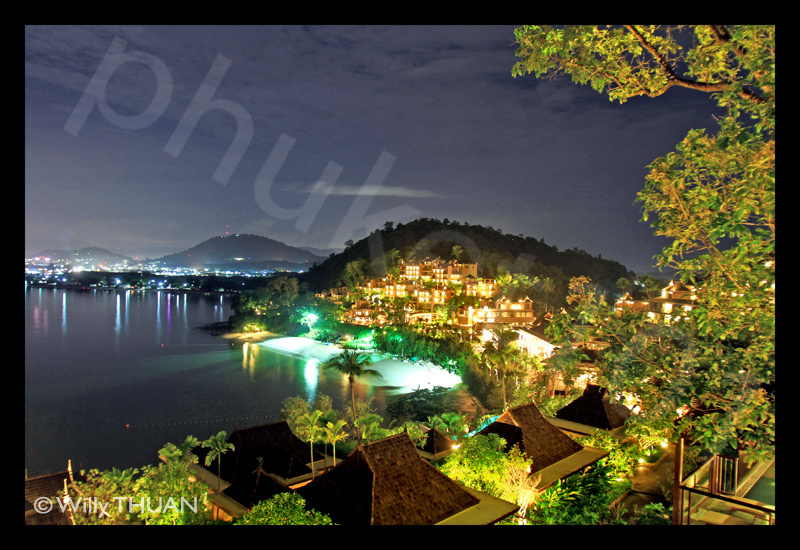 From your balcony at night you will be surprised how close the city lights of Phuket Town are! 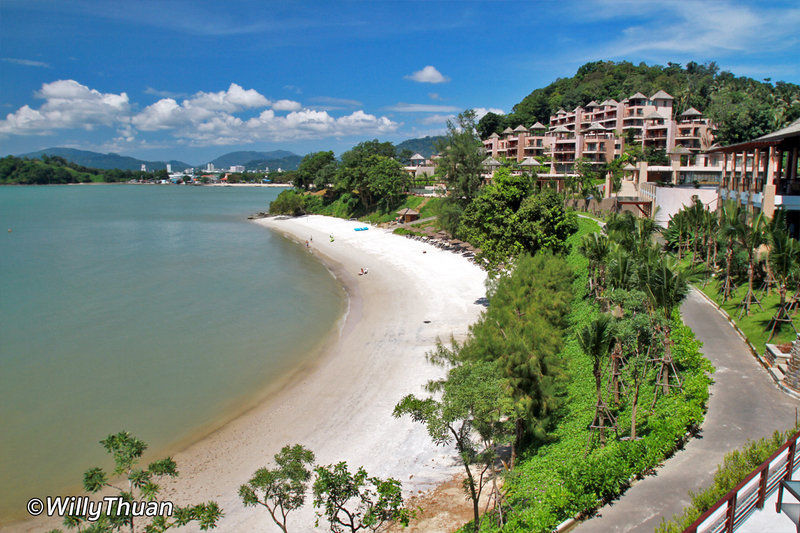 I never thought I would be standing in a trendy beach resort of Phuket while looking at Phuket Island. ‘Koh’ means ‘island’ in Thai, but if you look at the satellite view below, you’ll realize it’s more a cape separated from the main island of Phuket by a small mangrove river. ‘Sirey’, as it was originally spelled, is the name of the bay. 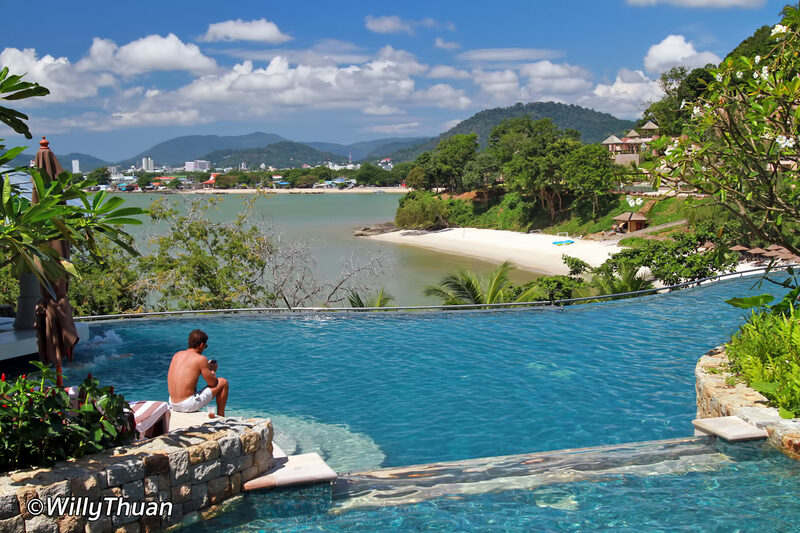 With three trendy restaurants, a deli, a large spa, three infinity pools, kids club, beach water sports and fitness, this is one of the newest integrated resort in Phuket. 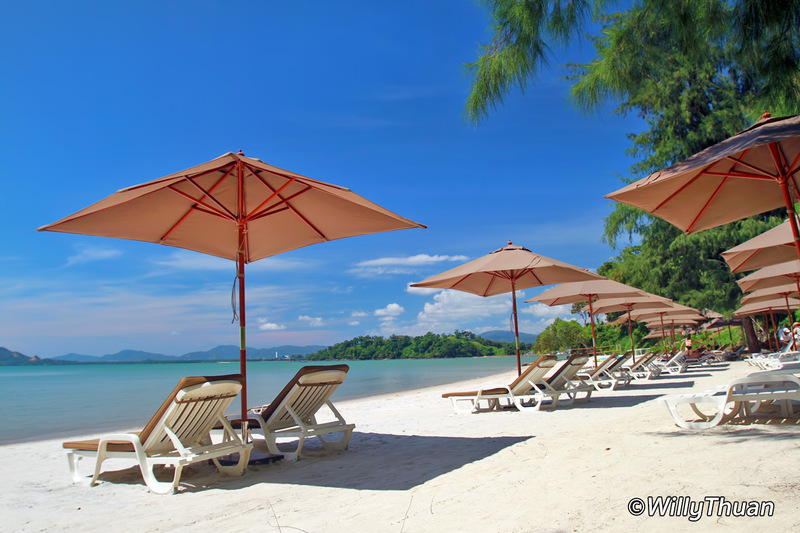 It’s somehow close to town, yet it feels peaceful and remote, best of both worlds… You don’t have to go anywhere if you prefer to spend most of your holiday away from Phuket, everything you need is right here. (If you really want to try local food, there are some great seafood restaurants nearby, but don’t tell anyone I told you about that). 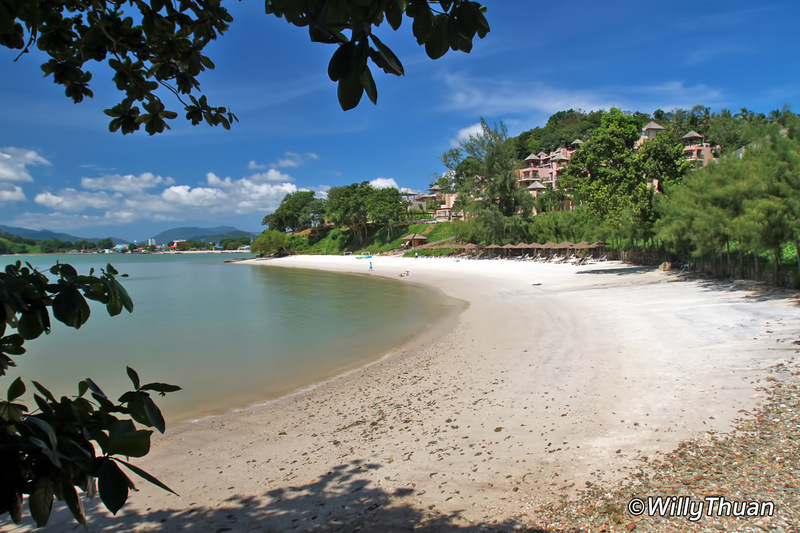 If you decide to go and explore, you are in fact much closer to Patong, Kata and Karon beaches than you would be in Bang Tao or Nai Harn, and all the charms of the Old Phuket Town is just minutes away. 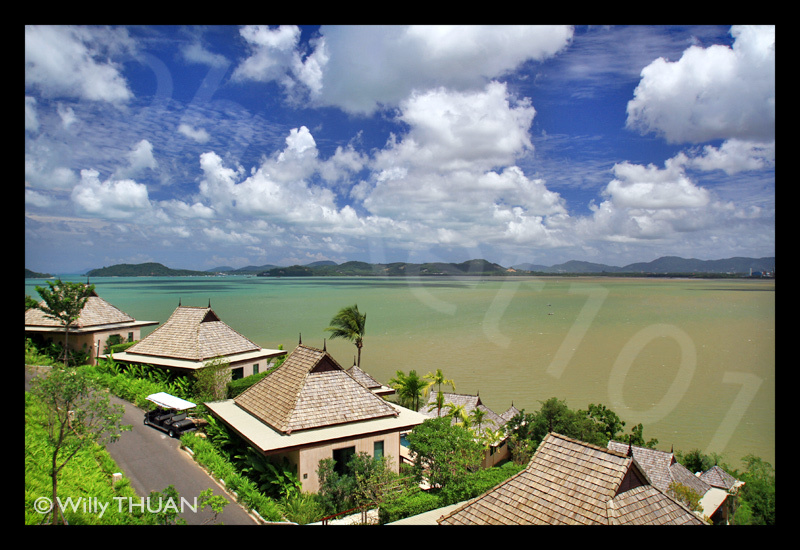 And of course there are the rooms, larger than in most hotels I have stayed in within this price range, all with striking sea views of Phuket Island in the background and the many tiny islets around. The ones with private pools or even the pool villas are the best of course, but we were very nicely set in our deluxe room. We appreciated the oversized bathroom; a hotel room in Tokyo or Paris might fit in it! 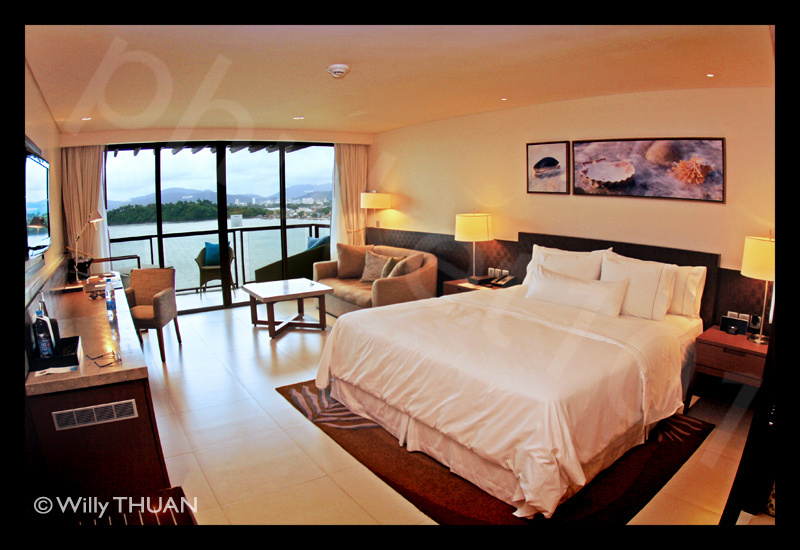 The bedroom itself is also large, nicely designed with plenty of comfortable seating inside, and a wide balcony that made room service really tempting. The working station is large and well fitted (well, that how it’s called, but we know it’s for your social networking) but wireless internet doesn’t come free. Oversized LCD TV had plenty of channels to choose from. 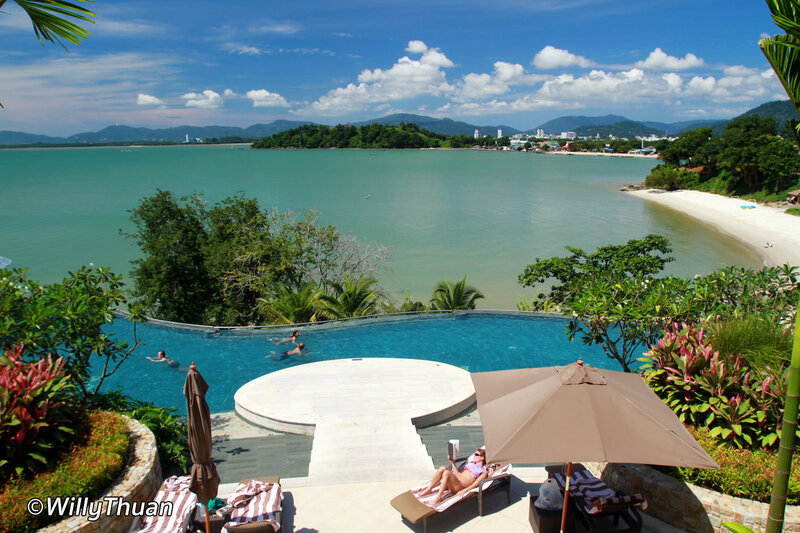 Westin might not have the large white sandy beach of Patong or Nai Harn Beach, but it has the views and the style… and with so many facilities and excellent rates, this resort is a great compromise to explore all of Phuket from a very central point or just hang there and stare at the sea. Note that as the resort is built on a hillside, there is a bit of walking to go to your room, but buggies are always ready to pick you up or drop you at your room in a record time.